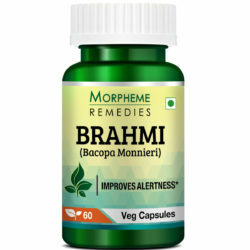 Morpheme Remedies Neem capsules contain premium quality Azadirachta indica leaves extract. 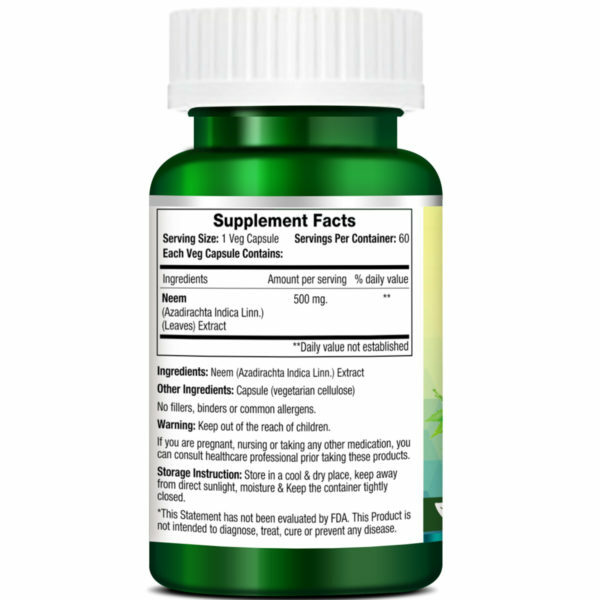 Neem is best known for its antimicrobial properties. Neem is native to India and Myanmar. It is a tall evergreen tree of the Mahogany family. For thousands of years neem has been used for medicinal purposes. Every part of the plant is beneficial for the health. However, in most cases the leaves and fruits of neem are used . Scientists have identified over 135 constituents of neem. The bitter principles of neem are primarily responsible for its health benefits. Morpheme Remedies Neem is a useful dietary supplement. You can take the neem capsules as long as you want. 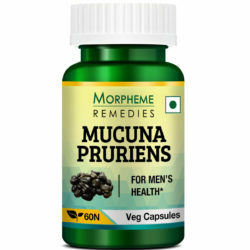 Morpheme Neem conatin pure-extract of Neem (500 mg. ) (Azadirachta Indica Linn. ) (Leaves) Extract. 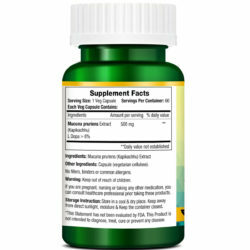 Take 1 Veg Capsule 1 – 2 Times a Day after meals or as directed by healthcare professional. Is Neem safe for consumption? For thousands of years neem leaves are used as food and medicine. They are well-tolerated and do not cause any adverse reaction. 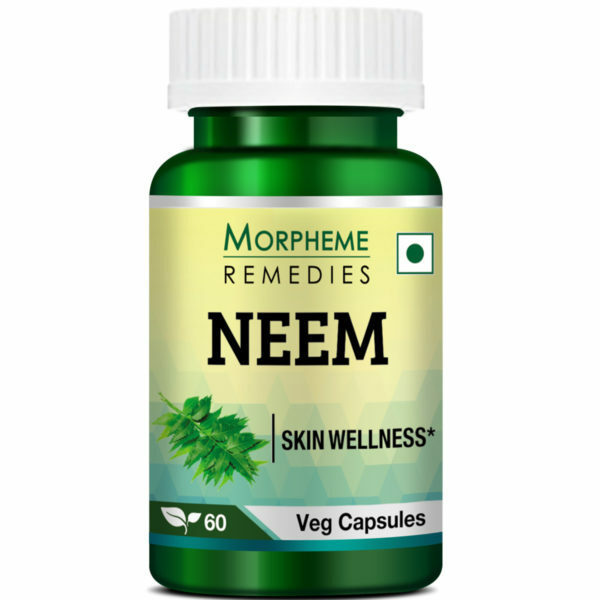 The neem leaf extract used in the Morpheme Remedies neem capsules are procured from the best quality sources. The capsules are fully natural and do not contain chemicals and synthetic substances. Hence, the neem capsules are safe for consumption. With regular use according to direction, you may expect to experience the health benefits of neem within a few weeks. 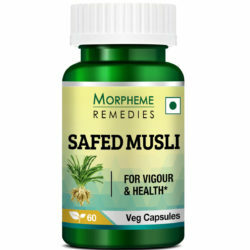 For maintaining the health , neem capsules should be taken continuously. Can I take Neem capsules with other drugs and supplements? Because of the hypoglycemic activities of neem, consult your doctor if you are on an anti-diabetic medication before taking Neem capsules. 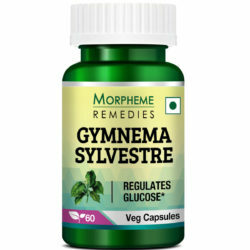 To prevent hypoglycemia, your doctor may consider reducing the dosage of the anti-diabetic medication. The immunostimulatory activity of neem may decrease the effectiveness of immunosuppressant drugs that are used for treating autoimmune diseases. If you are being treated for an autoimmune disease, consult your doctor before taking neem capsules. Awesome product for skin purifying and I am using it from long time. Circulation is impossible without blood and this is why a clean blood is needed to maintain a healthy body. Neem Capsule is part of my daily regimen to do just that. Herbal Supplement As Blood Cleanser. I am satisfied.